2019 USA Bats look to improve upon their first year iterations. Many of those 2018 versions struggled to be within weight, durable and without hand sting. Some, the like 618 Solo, were stellar. Expect them to begin release circa the Little League World Series when Easton unveils there 2019 USA Bat lineup. 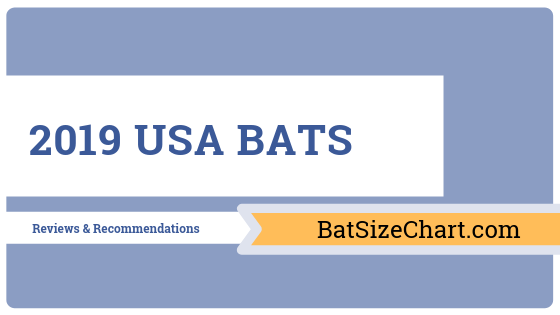 While the best youth bats can be found here, below we discuss what we know so far about 2019 USA Bats. Easton expects to deliver several different USA bats for 2019. Expect an upgraded Ghost X called the Ghost Evolution. You will also see a lighter version of the Beast X Hybrid in a Beast X Speed. Also, a number of single piece bats including an upgrade on the hyperlite composite and several single piece aluminum USA Bats. 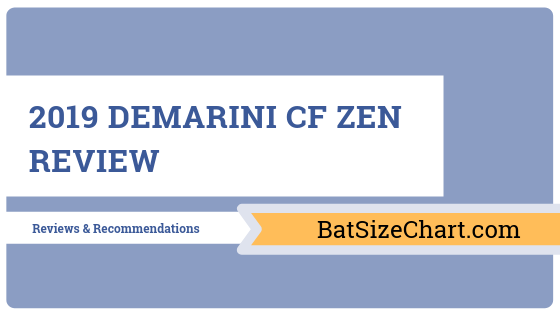 DeMarini releases a new 2019 ZEN, Voodoo Balanced, Voodoo One and several less expensive USA bats for 2019. The Zen looks to be the best USA Bat on the market but will find stiff competition from Easton and Slugger lines. 2019 USA bats for Rawlings are back in full force. They release a 5150, VELO and new Quatro Pro. The Quatro Pro looks to improve upon its durability. While the 5150 and VELO expand their light swinging barrels. Expect a full range of drops in the 5150 and VELO as well as a possible Drop 8 in the Quatro Pro for USA bats. Slugger, the surprise of 2018 USA Bats, releases a full line of 2019 USA Bats. The addition of the 919 is a welcome site. This two piece composite in the USA space, with a ligth swing a big barrel, might be just what the doctor ordered in the space. The 718 Select was a huge hit in 2018 and the 2019 719 should be too. The most popular 618 Solo follows up with a light swining 2019 USA 618 Solo. Expect a full line of 2019 USA Bats from Axe. The asymmetric handle company produces a new end cap on their USA Bats. You’ll see a two piece composite, hybrid and single piece USA Bat like this Axe Origin. The wild card in the 2019 USA Bat space will be Mizuno. They produced the Ghost last year to decent success. The 2019 versions of their USA line come redesigned and focused on a great look with good feel and a HUGE barrel. Although Dirty South Bats does not use the annual/year nomenclature for their bats, expect some 2019 releases in the USA space from this home grown company. The MADE from 2018 did well enough, and the market demand for high performing USA bats is great enough, to justify the investment. Dirty South Bats is bat company based in Atlanta, Georgia. They have delivered remarkable results from gorilla & grass roots marketing via facebook and other social channels. Many users of the bats swear by them. Others are surprised by their hype when the bats just alright. The positives focus on the bats barrel size and perceived pop, the negatives focus on the fact they are overpriced and ring hands on mishits. Dirty South Bats controls most of their distribution internally. That is, they only sell them on their site. Just Bats picked up the bats for a few months, still has some, but doesn’t have a very large quantity or selection. The actual best place to buy the bats is on eBay used. You’ll need to be diligent as the selection isn’t huge. But, you can find them used, new in wrapper and “refurbished” (whatever that means). To date, DSB only produces bats in the youth bat and fastpitch bat space. 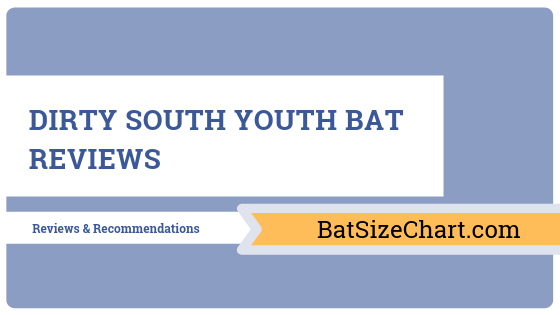 The youth space includes bats in the USA Bat space as well as the USSSA 1.15 BPF. Dirty South started in the business mimicking Combat. The Combat MAXUM, a huge barreled single piece composite bat, was all the rage in circa 2016 when the barrel size truly dwarfed any other bat out there. The idea was that a bigger barrel profile was the main differentiation between any bat. If the standard (1.15bpf) was the same then the only thing the industry could make better was a can’t miss barrel, right? The idea fizzled when Combat, the company, got scrapped in a parent company bankruptcy. But Dirty South was there to pick up the hype and run with it. Many parents and players in the market for the biggest barrel undoubtedly came across the Dirty South literature and marketing plants on facebook and the internets. The single piece composites of the early days hit the ball well. And the rest is history. The idea that a bigger barrel profile is always better is far from settled. But, DSB continues to make some of the biggest barrels on the market. (The biggest, actually, is Mizuno’s Ghost). Their mainstay is still the single piece composite. Every several months they update or come out with a new single piece composite. The story is the barrel just keeps getting bigger and the sweet spot just keeps getting longer. In the latest iteration, they use a “continuous fiber” in their barrels—which is exactly what the Combat MAXUM claimed to used in their last iteration before going chapter 11. (Easton picked up Combat bats name an inventory). DSB appears to be thriving in the industry. They benefited from the vacuum created the Combat dismissal. After a meteoric rise their market share appears to be leveling off. The bats perform well. 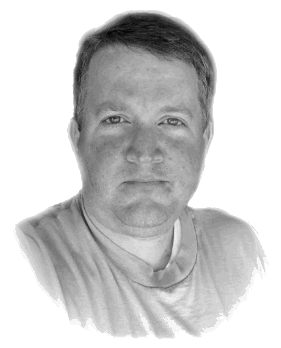 And those looking for a single piece composite with a huge barrel will find themselves wondering if they should send their money to someone besides Amazon or eBay or one of the big vendors or manufacturers. You wouldn’t be the first to do so. Strong and elite hitters like the big barrels and stiff feel. They will like the drop 5’s and 8’s more than the drop 10. 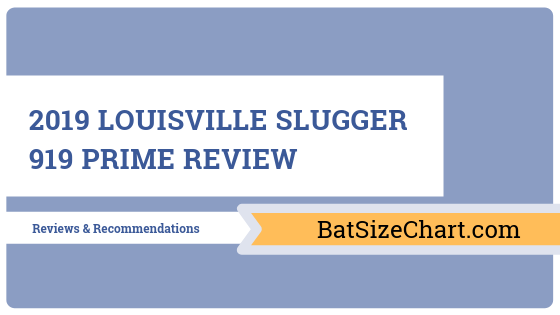 Smaller or average sized hitters tend to prefer two piece bats. At the kind of price point DSB is asking for their bats most smaller hitters will have better success with a highly rated two piece composite bat. Axe Bat Reviews are all over the internet. Mostly because they have made so many different iterations of the bat since their inception in 2014 (or thereabouts). 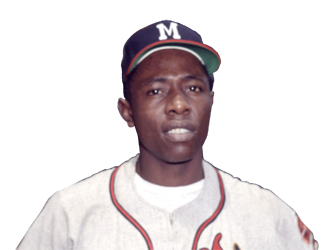 But, also, because enough people have liked the bats to get them on the short list of many serious players. 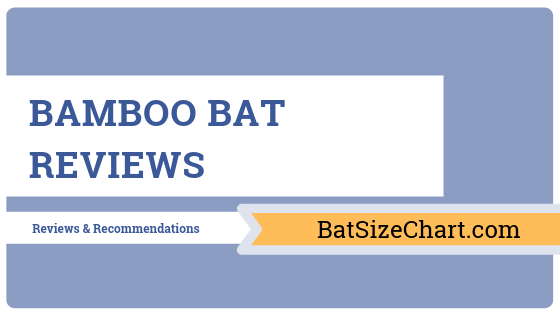 You can read about our specific takes on individual bats on our BBCOR bats page. This serves as our general Axe Bat Review page. Axe has decent distribution, especially online. You can find their bats at most major online retailers. Of course, the favorite place to check is on eBay. Finding used models for great prices and last year’s models for clear out prices is common place. Axe’s website is also a legit place to find deals and options. Axe bats, although more common now then they were in 2014, still bewilder some hitters. The idea of a bat that only makes contact on one side, has an odd shaped handle and a weird end cap is not intuitive. 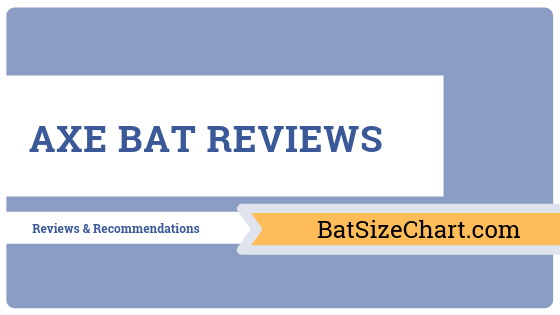 But, after much research, we find that any Axe Bat Review must discuss three items. They are, in no particular order, the asymmetric handle, the asymmetric knob and a one sided hitting. The most obvious feature of an Axe bat is one the one that proves the bat’s name brand. Axe bats come with an axe shaped handle. The handle gives you a more ergonomic feel. Axe has more than one study “proving” bat speed is indeed faster with an ergonomic handle. These studies have all been funded by Axe so its hard to say they were unbiased. But, the idea of a faster swing because of an oval knob makes sesnse to at least a few folks who know what they are talking about. Take, for example, Dustin Pedroria..
Another piece to think through on the Axe Bat is that if you always hold the handle the same then you will always hit the ball on the same side of the barrel. In some respects this is just like a wood bat. Wood has a stronger side, naturally. Players speak about this as the face grain and make sure they make contact with the barrel side up. Axe Bats, although metal or composite, are built with a stronger side in mind. They use the predictability of the impact to design a barrel that is more durable and focused performance. The final piece of the equation, which Axe added just a few years ago, is the use of an asymmetric end cap. Since the bat only has one sided hitting because of the asymmetric knob then the backside of the barrel doesn’t need to be as long. So, Axe shaves off some of the end cap on the backside. (Really, they just design it such that it scopes down towards the barrel. This feature, in turn, removes mass from the end of the barrel and lowers swing weight. Axe calls this end cap design the Hyperwhip. In the beginning Axe only made a BBCOR bat. That was, they only had a highschool/NCCA approved bat. That was just a few short years ago. Now, Axe has a bat at every level of the sport. Wood: they not only make their own wood bats for the amateur level, but also license their oval knob to a few companies like Victus, Chandler and more. BBCOR: They make a number of different types of highschool approved bats. The Avenge, Origin and Elite are thier most popular. USSSA: Axe Bats also makes a few big barrel versions of the bats. Expect to see an Avenge, Elite and Origin too. USA/Youth: In 2018 Axe made an Elite in USA. Expect to see that expanded to an Avenge as well is the 2019 USA Bat lineup. If you are new to playing baseball, looking to buy a baseball bat (check out top BBCOR Bats here) for someone as a gift, or just looking to learn more about the game and equipment, you are bound to hear the name Baum Bat. If you are new to the world of bats, below is a Baum Bat review to give you the specifications on the bats that are manufactured and the quality you can expect out of the company’s baseball bats. Let’s start off with learning a little bit about this extremely popular company (click here to see Best BBCOR Bats of 2017). Baum bats are manufactured by Baum Research and Development Company. Baum Research and Development Company is the top maker of wooden composite baseball bats all around the world. “Baum Bats” are created to look and feel completely like professional wooden bats. They are crazy durable. Research shows that “Baum Bats” are so durable that they outlast other wooden bats two hundred to five hundred to one. Baum Research & Development Company was informed by the Major League Baseball to be cautious in making their baseball bats too durable. They had to follow instructions that would allow their wooden baseball bats to break when it reached high limits as other wooden baseball bats would do. Baum Research & Development Company is the Neil Armstrong in baseball when it comes to researching and evaluating baseball bat performance. This includes the research and performance of wooden, metal, and composite baseball bats for both, softball and baseball. This company was the first company to manufacture composite baseball bats made with real wood. These bats are the Fungo Baum Bat, the AAA Pro-Model Baum Bat, and the Monster Baum Bat. A great fun fact is that the AAA Pro-Model Baum Bat, which is patented, is the only real high-tech wooden composite baseball bat that has been approved by Major League Baseball for minor league game use, NFHS use, and NCAA use. The AAA Pro-Model Baum Baseball Bat was manufactured to follow the specifications as given in 1991 by Major League Baseball Teams Personnel and The Commissioner. The parametric quantity became the holy grail for the stipulations of the perfect game bat and training bat for all baseball use. It was called, “The Perfect Wooden Bat”. This parametric quantity baseball bat has changed the face of baseball, not only within the United States, but around the world. It also brought baseball back to wooden bats as it was always meant to be played. Below I have researched and put together some details regarding some of the baseball bats that are popular and durable by Baum. Keep in mind that they are the world’s leader in manufacturing baseball bats for both baseball and softball. There are definitely more bats available that I have not mentioned either above or below. This is just giving you some details to help you get started with purchasing the right baseball bat for yourself or for you child or even a friend. Where to buy Baum Bats? The best pricing we have found on Baum bats is usually on eBay. I found a couple of very good prices, much less then what some major vendors had them for. AAA Pro-Adult Baum Bat: This baseball bat is manufactured with an adult in mind. It is a composite wooden baseball bat. It is popularly priced with an MSRP of $219.99. I would suggest checking Amazon. You may get a better price there or by doing a search through Google. You may also be lucky enough to find this baseball bat in the more exclusive sports stores, such as Just Bats or a sporting goods store that deals more in the game of baseball compared to selling just everyday, generic merchandise. 2016 AAA Pro-Adult Baum Bat (Pink): This baseball bat is also for an adult and most likely for the female baseball player. It is a composite wooden baseball bat. Male players might wish to have this pink bat for playing in games during breast cancer awareness month as well as women using it. It is a great bat for practicing and for in game use. This Pink Composite, Wood Baseball Bat has an MSRP of $199.99. This bat is a bit gentler on your budget. As I mentioned for the above baseball bat, a better price could be found either by going on Amazon or performing an internet search on Google. Doing a quick search could make this bat even more easy on your bank account. AAA Pro-Adult Baum Bat Flare Knob: This baseball bat is also manufactured for an adult and has different sizes available. This can really help up your game by having a more custom type baseball bat. It is also a composite baseball bat made of wood and is equipped with a flare knob. It is important that you keep that in mind as you may not want a bat with a flare knob. Many baseball players do like the flare knob, so this can be a great asset along with available sizing. The MSRP is $269.99 up to $299.99; depending upon size. Once again, as stated above, running a quick search through Google or visiting Amazon could help save you a bit more money. Baum bats are extremely popular and the company stands behind their products. You would be hard-pressed to find a better brand for composite wooden baseball bats anywhere around the globe. Whether you are someone who plays baseball or softball on a regular basis, playing in the minor leagues, or are new to the game, Baum Research & Development Company has a vastly popular and durable baseball bat that will fit your needs and help make the most out of your baseball stats and game experience.